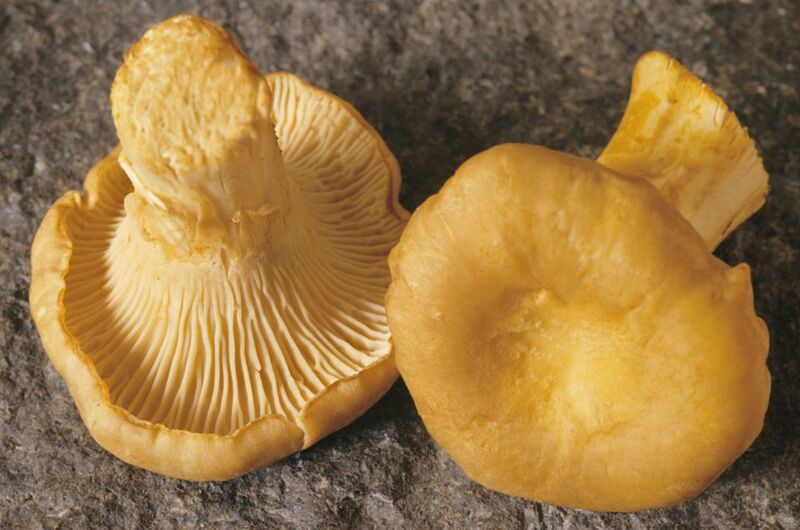 Chanterelle mushrooms (Cantharellus species) are prized by wild mushroom hunters and restaurant chefs for good reasons. They are one of the most delicious fungi available and also add appealing shape, color, and texture to any recipe that includes them. But you need to grab them while you can—chanterelles are usually only available for a few months of the year. If you are lucky enough to find and purchase more chanterelles than you can use while still fresh, don't think you need to incorporate them into every meal until they are gone. These mushrooms are very easy to preserve so you can enjoy them year-round. This does not include, however, dehydrating them. That is one method of preserving mushrooms that does not work well for chanterelles. Although most mushrooms—wild or cultivated—dry well, chanterelles lose a lot of their excellent flavor when dried. Fortunately, there are several other ways to preserve them successfully, all requiring a quick cooking method and some finishing with storing in the freezer. Chanterelles keep their quality best if they are cooked before they are frozen. There are three ways to prepare the mushrooms in order to achieve great results with frozen chanterelles: sauteing in a fat, dry sauteing, and steaming. You can also pickle these mushrooms if you prefer. But, no matter which preservation method you choose, you will need to clean the chanterelles first. Before you cook them, you need to clean the mushrooms, which requires a certain technique. There are two schools of thought when it comes to cleaning mushrooms. One is that they act like sponges and will soak up the water you use to clean them and, as a result, become soggy when cooked. However, there are food scientists who say that what happens is quite the opposite, that mushrooms already contain water and rinsing them with a bit more won't make much of a difference. In fact, they claim that wet mushrooms cook better than dry (the dry quickly absorbing the cooking fat and becoming greasy). Whether you choose to clean with water or not is up to you, but may also depend on where you purchased the chanterelles in the first place. Mushrooms from the market have usually been cleaned of most of their dirt, so quickly wiping with a paper towel or using a vegetable brush can do the trick. However, if your chanterelles came straight from the ground, they are likely to be covered with soil and a simple wipe will not suffice. In this case, hold the mushrooms under a gentle trickle of water while you use a towel to clean away the dirt. For optimal results when freezing, you can dry the mushrooms on a cooling rack overnight before proceeding with the cooking steps. This preparation is similar to cooking the mushrooms when incorporating in a dish. First, you need to clean the mushrooms, and, if desired, chop the chanterelles. Heat a skillet over medium-low heat and melt a little butter in it. Add the chanterelles and cook, stirring or flipping them over occasionally, until they first release their juices and then reabsorb them. Because chanterelles are relatively dry mushrooms, this takes less time than it does with other mushrooms, usually just 5 to 10 minutes. Remove the chanterelles from the heat and let them cool for a few minutes. Transfer them to freezer bags or well-sealed containers and freeze. Similar to sauteing in oil or butter, this method actually doesn't use any fat at all. After cleaning the mushrooms, chop the chanterelles if desired. Heat a skillet over medium-low heat. Do not add butter or oil. Add the mushrooms to the dry, hot skillet and cook, stirring or constantly tossing, until they release their juices and reabsorb them. This will take about 5 to 10 minutes. Remove the skillet from the heat and let the mushrooms cool for a few minutes. Transfer them to freezer bags or air-tight containers and freeze. This last technique is quite simple and needs little attention. First, bring water to a boil in a pot with a steamer basket on top. Make sure the water level is below the steamer basket—you do not want any moisture in contact with the mushrooms. Once the water is boiling, add the chanterelles. Cover the pot, lower the heat to a simmer, and steam for 10 minutes. Remove the steamer basket full of mushrooms and let cool for 5 minutes. Transfer the chanterelles to freezer bags or well-sealed containers and place in the freezer. Pickling chanterelle mushrooms is another classic way to preserve them. Of course, they will take on the flavorings of the pickling mixture, so keep that in mind when thinking about how you will use them later on. To pickle chanterelles, you first need to cook them using the dry sauté method. You can use any vinegar-based pickling brine but keep the vinegar solution fairly strong (equal parts water and vinegar is as far as you should safely dilute the brine base). Then add the seasonings of your choice. Once pickled, you should store your chanterelles in the refrigerator or can them in a boiling water bath for 15 minutes (adjust the time if necessary for canning at high altitude).